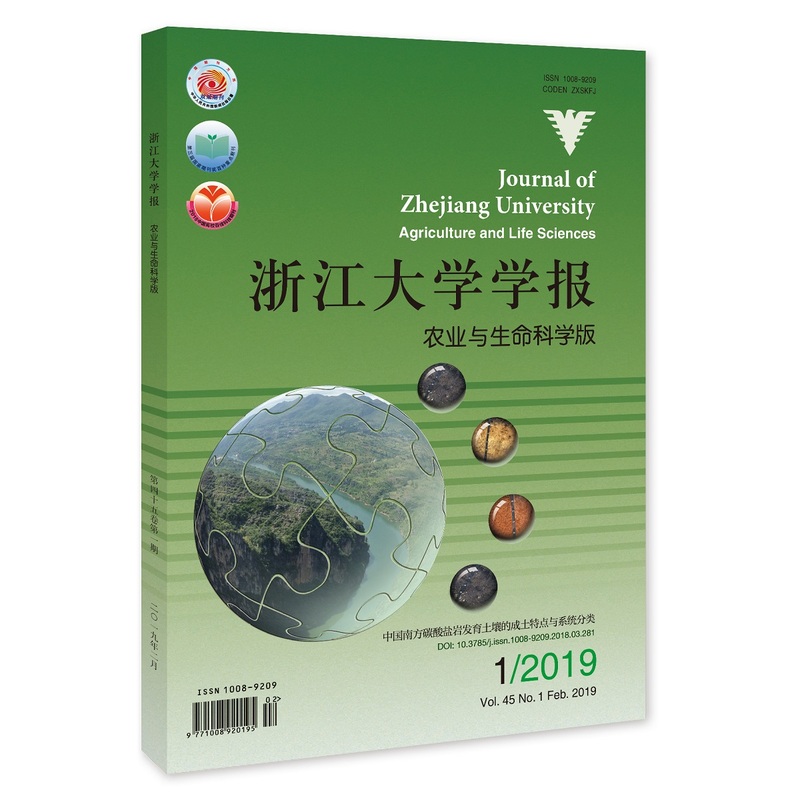 Journal of Zhejiang University (Agriculture and Life Sciences), 2019, 45(1): 1-134. Fungal pigments are the potential resources as a natural food colorant. 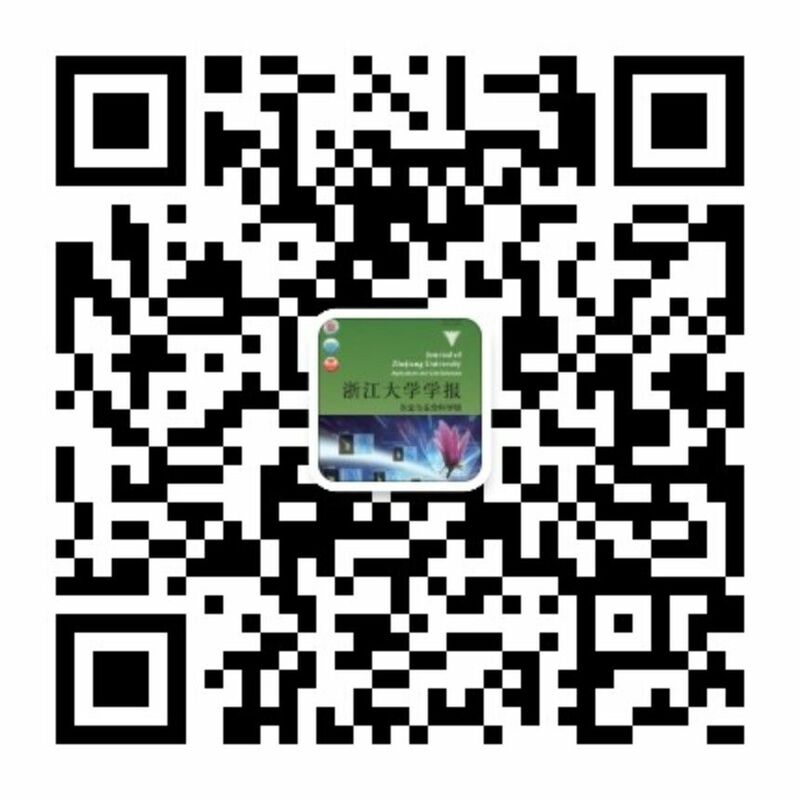 An endophytic fungus RJL03, which is able to produce abundant soluble red pigments, was isolated from the medicinal plant Rehmannia glutinosa Libosch. For further research and utilization of this strain and its secondary metabolites, morphological and molecular characteristics of RJL03 were identified. For observing the colonial morphology, the strain was cultured on different substrates at 25 ℃ for seven days. The fungus was also observed through light microscope and scanning electron microscope. The colony of this fungus was white at first and turned red at later stage, villous, circular; the mycelium was composed of irregularly branched, septate; conidia had borne terminally on pedicels, single or 2-10 in chain, which was about (8.0-16.5) μm×(7.5-14.0) μm; the cleistothecia was globose, brown, arising terminally from the apex of short hyphae, whose diameter was 32-70 μm; the ascospore was ellipsoidal, smooth, colorless or red, which was about (6.0-7.5) μm×(4.0-5.0) μm. Sequence analysis showed that ITS and 18S of the strain had 100% and 93% similarities with Monascus sanguineus, respectively. In conclusion, morphological results and phylogenetic analysis provided great evidence that endophytic fungus RJL03 was M. sanguineus. This study first reported M. sanguineus isolates from Rehmannia glutinosa Libosch. in China . It is considered that M. sanguineus, unlike M. purpureus, should be an independent species. The wild-type (WT) barley ZJU3 and wax-deficient mutant P1 were used as experimental materials. Using the solution culture methods, when the seedlings growing to two leaves, drought stress was simulated by different concentrations of PEG (macrogol)-6000 to compare the physiological and biochemical indexes of the mutant and wild type seedlings. At the same time, the expressions of 10 waxy-related genes were detected by real-time polymerase chain reaction (PCR). The results showed that under drought stress, the activities of superoxide dismutase (SOD) and peroxidase (POD) increased first and then decreased, and the proline (Pro) content increased continuously, and the malondialdehyde (MDA) content increased, indicating that the loss of barley wax powder would reduce its drought resistance. Among the 10 waxy genes selected, P1 had six down-regulated genes with respect to ZJU3, and three genes were up-regulated. Only one gene expression was not significantly different. The study preliminarily reveals the characteristics of the mutant and its advantages in drought resistance. Taking a red pitaya cultivar, ‘Zimilong’ as the test material， we set up different blue-red light ratios in light-emitting diode （LED）, 1∶8, 1∶6, 1∶4, 1∶3 and 1∶2 to treat the pitaya and used white LED light as the control (CK). Besides, the light sources were placed at two positions, 50 cm and 70 cm above the plant. We also set up no artificial light group as a blank control (CK0). By comparing the flower bud differentiation, phenology and fruit quality, we attempted to choose the best light supplement that would advance spring budding, increase the amount of buds and also improve the quality in pitaya. The result revealed that flower bud differentiation was improved when given light fill. In addition, when the blue-red light ratio in LED light was 1∶4 at 50 cm above the plant, the number of buds and productivity were best among all treatments， and the average yield even reached 2.236 kg/plant. When the blue-red light ratio in LED light was 1∶2 at 50 cm above the plant, the total soluble solid content and fruit quality were the highest. Osmanthus fragrans is not only one of the top ten traditional famous flowers of our country, but also one of the famous greening and perfume plants in China. In order to study the flower opening mechanism of O. fragrans, expansin genes were identified and selected from the obtained transcriptome of O. fragrans. Three expansin genes, OfEXPA2, OfEXPA4 and OfEXLA1, were performed, which contributed to flower opening mechanism of O. fragrans. Promoters of the three genes were cloned by the method of Genome Walker. The lengths of 1 108, 808 and 945 bp (OfEXPA2, OfEXPA4 and OfEXLA1) were obtained from O. fragrans, respectively. Online database ‘Plantcare' analysis revealed that the sequences of the three promoters contained basic cis-elements, such as TATA-box and CAAT-box. In addition, the promoter of OfEXPA2 contained hormone inducing elements ABRE, and the promoter of OfEXLA1 had AuxRR and TCA, indicating that the two genes would be regulated by corresponding hormones. Besides, there were many other elements involved in the plant abiotic stress. MBS, a cis-acting element in the promoter of OfEXPA2, was the MYB binding site, which responded to drought stress; there was a cis-acting element that responded to high temperature, HSE, in the promoter of OfEXLA1. In addition, the recombinant vectors were constructed and named OfEXPA2::GUS, OfEXPA4::GUS and OfEXLA1::GUS, respectively. The result indicated that the promoters of OfEXPA2, OfEXPA4 and OfEXLA1 could drive the GUS gene exclusively to express in leaves of transgenic tobacco. Three WRKY genes were cloned by using reverse transcription-polymerase chain reaction (RT-PCR) technique from the tea plant of ‘Tieguanyin’ cultivar and named as CsWRKY6, CsWRKY31, CsWRKY48 with the GenBank accession numbers of MG298953, MG298958 and MG298961, respectively. Their open reading frames (ORFs) were 1 734, 1 299 and 960 bp long, encoding 577, 432 and 319 amino acids, respectively. Phylogenetic tree and protein domain analysis indicated that all of them belong to class Ⅱ WRKY protein, and contained highly conserved DNA-binding domain of WRKYGQK and zinc finger structures. CsWRKY6 and CsWRKY31 shared the same zinc finger structure model of C-X5-C-X23-H-X-H, whereas CsWRKY48 belonged to C-X4-C-X23-H-X-H. The three genes were expressed in different tissues and had obvious tissue specificity in tea plant. The expression level of CsWRKY6 in old leaves was significantly higher than that in other tissues, while the expression level of CsWRKY31 was the highest in flowers and CsWRKY48 had higher expression level in roots and stems than that in leaves, flowers and fruits. Protein interaction prediction indicated that the three genes were involved in the stress response by interacting with multiple genes. Fluorescence quantitative analysis showed that low temperature treatment could significantly up-regulate their transcript abundance in tea plant leaves. Under drought stress, both CsWRKY31 and CsWRKY48 were induced to the maximum after 12 h. The expression level of CsWRKY48 was dramatically up-regulated after exogenous abscisic acid (ABA) treatment, whereas the expression level of CsWRKY6 and CsWRKY31 was repressed. It is revealed that the three genes are closely related to the resistance in tea plants. Conventional methods of Ace-AMP1 antimicrobial peptide extraction from onion seeds are usually difficult, costly with a low extraction rate. To solve these problems, the original gene of antimicrobial peptide Ace-AMP1 was optimized according to the preference of Pichia pastoris and ligated into pPICZα A vector, which was designated as pPICZα A/Ace-AMP1. The recombinant vector was then transformed P. pastoris through electroporation. The results of real-time quantitative polymerase chain reaction (RT-qPCR) and Western-blotting confirmed that the Ace-AMP1 was successfully overexpressed in GS115, and the antibacterial peptide could be stably expressed in yeast cell. The protein expression level showed a significant increase in the supernatant after the induction, reached the maximum concentration (109 μg/mL) at 84 h, while the control group still remained a low level. The biocontrol experiment indicated that the recombinant strain GS115/Ace-AMP1 could highly control the blue mold compared with the controls, which was 34% of disease incidence lower than the sterile distilled water treatment. The same trend was observed in the lesion diameter, which dropped by 65% with the GS115/Ace-AMP1 treatment compared with the control. Therefore, the GS115/Ace-AMP1 can be as an Ace-AMP1 peptide manufacturer, as well as a biocontrol agent. A high performance liquid chromatography (HPLC) was developed to simultaneously determine the content of 10 organic acids (oxalic acid, D/L-tartaric acid, formic acid, L-malic acid, ascorbic acid, lactic acid, acetic acid, citric acid, succinic acid and fumaric acid) in tea. The chromatographic conditions were optimized in the aspects of mobile phase composition, column temperature, flow rate and detection wavelength. The established HPLC method was methodologically assessed and applied to teas, which included maintaining TSKgel ODS-100V column (4.6 mm×250 mm, 5 μm) at 40 ℃, using 0.10% phosphoric acid-water solution (mobile phase A) and 50% acetonitrile-water solution (mobile phase B) with the gradient elution mode of 100% A (0 min)→100% A (12 min)→0% A (17 min)→0% A (25 min)→100% A (30 min)→100% A (33 min) with 2 min post-run at the flow rate of 1.0 mL/min, and detecting at the wavelengths of 210 and 245 nm for ascorbic acid, and 210 nm for other organic acids by diode array detector (DAD). The correlation coefficients of regression equations for all of the components were greater than 0.999 5, and the relative standard deviations (RSDs) of accuracy and repeatability were lower than 1%, and their RSDs of stability were lower than 4% (except ascorbic acid), as well as the recovery rate with the method of 97%-116%. It is appeared that the newly developed method can yield fine linear relationship, desirable precision, repeatability and separability for determinations of 10 organic acids in tea. South China is one of the most concentrated areas of carbonate rock distribution in the world. The researches on the characteristics, classification and utilization of the soil developed on this special geological body have been paid much attention by scientists. But to date, knowledge about the characteristics, the spatial distribution of physical and chemical properties and quantitative classification of the soils are still insufficient. In this paper, the representative soils developed from carbonate rocks in Guizhou, Guangxi, Yunnan, Zhejiang, Jiangxi and Fujian provinces （municipality） were investigated and characterized, and their pedogenetic characteristics and classification were discussed. The results showed that there were great spatial heterogeneities in properties and types of the soils developed from carbonate rocks, and the thickness, weathering degree, physical and chemical properties and soil types could be changed greatly in a small space. The soil thickness and texture were mainly influenced by the formation and lithology of carbonate rocks, and geomorphology. The lithology, Karst geomorphology and climatic conditions simultaneously restricted the degree of soil development and the configuration of soil profiles, and thus affected the differentiation of soil types. The color of the soils developed in carbonate rocks was mainly related to the content, minerals of iron oxide and organic matter accumulation, and affected by soil moisture and topographic conditions. Color could reflect the difference of soil weathering to a certain extent. It was suggested that formation of black soil with high accumulation of organic matter from the carbonate rocks was associated with low-lying terrain, and it was the result of the repeated accumulation of the surface material of the weathered material of the surrounding rock or the surrounding soil for a long time. Soil genetic classification for the second national soil survey was too simple to divide the soils developed from carbonate rocks, and it was difficult to fully reflect the difference among soil types. According to the diagnostic criteria of the Chinese soil taxonomic classification, soils developed from carbonate rocks in the south of China could be divided into five soil orders, i.e., Ferrosols, Isohumosols, Argosols, Cambosols, and Primosols, and was further divided into eight suborders, 15 soil types and 25 subtypes. The optimization of agricultural production structure is an important way to control the agricultural non-point source (NPS) pollution. In this paper, a multi-objective programming model was used to optimize the agricultural production structure in the Tiaoxi watershed, with the objective of agricultural NPS pollution reduction. The development of agricultural economy and the demand for agricultural products were chosen as the constraints in the model. According to the agricultural output in the year of 2014, three schemes including less output, medium output and more output were optimized by the multi-objective programming model. The results showed that the reduction of agricultural NPS pollution load in the three schemes from high to low were less output scheme, medium output scheme, more output scheme, respectively. However, the reduction varied among different areas. The optimized results showed that the transformation of outdoor vegetable cultivation to facility vegetable cultivation was obvious compared with 2014. The scale of pigs and cattle culture decreased significantly, while sheep culture increased moderately. The adjustment of paddy and aquaculture was slight. The results of water quality prediction under different schemes also showed that the improvement of water quality under the less output scheme was better than the others, but it was not obvious as compared with the medium output scheme.Taking the control demand of non-point source pollution, the economic output of agriculture and the improvement effect of water environment quality into consideration, the medium output scheme is better for the current agricultural economic development and environmental protection in this watershed. In order to exploit and use solar energy resources, analyze the influence of climate change on sunshine duration, a spatial interpolation model was evaluated by various similarity coefficients and the optimal model was selected to study the spatial distribution characteristics of Tibet sunshine duration. Combined with sunshine duration of 52 meteorological stations in Tibet and the surrounding area during 1971 to 2015, the temporal change characteristics of sunshine duration in Tibet was analyzed. Results showed that the interpolation algorithm of Kriging spherical model could simulate Tibet sunshine duration quite well. The Tibet sunshine duration generally had a change tendency of gradual increase from east to west and from south to north. The Tibet’s annual sunshine duration had a decline tendency, and abnormal years mainly appeared in the 1980s. According to the topographic features of Tibet, the sunshine duration in the four areas was studied, which were Himalaya High Mountain (HHM), Eastern Tibet High Mountain (ETHM), Southern Tibet Lake Basin Valley Area (STLBA), Northern Tibet Plateau (NTP). The results showed that the annual sunshine duration of ETHM had a slight upward trend, other three areas showed a downward trend. The seasonal changes of sunshine duration in the four areas were as follows: In spring, NTP’s sunshine duration showed an increasing tendency. In summer, the sunshine duration of all the four areas showed a decline tendency. In autumn, the sunshine duration of all regions showed an increasing tendency except for NTP. In winter, the sunshine duration of all the four areas showed an increasing tendency. It was concluded that precipitation had the greatest impact on sunshine duration by analysis of four meteorological factors. Aiming to explore the effect of reasonable reed type rice acreage on the purification of culture water of crab pond, we analyzed the characteristics of phytoplankton functional group community and their relationship with environmental factors. From July to October, 2015, the species composition, biological density, biomass, Shannon-Wiener diversity index, Pielou evenness index, and Margalef richness index of phytoplankton and their relationship with environmental factors were analyzed. The results showed that a total of 126 phytoplankton species were identified, and most of them belonged to Bacillariophyta, Chlorophyta and Cyanobacteria, being classified into 71 genera and eight phyla. Simultaneously, 16 dominant species were classed into 12 functional groups of R, S1, G, J, B, D, P, LO, WO, X2, X1 and MP. The ranges of average biological density, average biomass, Shannon-Wiener diversity index, Pielou evenness index and Margalef richness index were 0-(8.135±4.794)×107 L－1, (1.079±0.454)-(38.162±13.414) mg/L, (1.301±0.072)-(2.387±0.368), (0.346±0.006)-(0.843±0.125), (1.038±0.183)-(1.852±0.131), respectively. The redundancy analysis (RDA) result showed that the most important factors affecting the structure of phytoplankton functional groups were nitrate nitrogen, total nitrogen, temperature, total phosphorus, and chlorophyll a. The water pollution level of young carb pond was α-fouling. The comparative analysis of phytoplankton diversity in the young crab pond with different reed type rice acreages showed that the Shannon-Wiener diversity index and Pielou evenness index of the phytoplankton in the 20% group were all higher than those in the other three groups and were relatively stable; however, the richness index of the phytoplankton in the 20% group was higher than the other three groups in the mid-term, and lower than 0% and 10% groups in the late-term, but higher than 30% group. In conclusion, the crab pond with reed type rice of 20% area is more appropriate. An algal-bacterial system was constructed to explore the effects of culture conditions on the growth of microalgae. On the basis of the results of single factor test, three factors including the agitating rate, the initial inoculation ratio of microalgae and bacteria, and the organic load of the wastewater were optimizated by using the response surface method. The results showed that the microalgal growth was significantly affected by airtight condition, agitation rate, initial inoculation ratio and organic load of the culture system, and the microalgae grew better in the open culture system. The optimum condition by the response surface optimization was as follows: agitating rate of 1 574.29 r/min, inoculation ratio 150∶1 of bacteria-alga and organic load (chemical oxygen demand, COD) of 3 676.02 mg/L. After seven days of culture under the optimimum condition, the biomass of microalgae was 5.68 g/L, which was in accordance with the theoretically predicted value (5.69 g/L). The above results can lay a scientific basis for improving the resource recovery efficiency from wastewater by algal-bacterial system. The Cupressus gigantea seedlings were cultivated under different temperatures (7.5, 12.5, 17.5, 22.5, 27.5 ℃) through artificial weather boxes, and the effects of different temperatures on growth, development and photosynthesis of seedlings were investigated. The results showed that: 1) Different temperatures significantly affected the growth of C. gigantea seedlings. The seedling height, aboveground dry mass, underground dry mass, new root dry mass and new root number reached the maximum at the temperature of 17.5 ℃, followed at 12.5 and 22.5 ℃, and they were poor at 27.5 and 7.5 ℃ (P＜0.05). 2) The photosynthesis of the C. gigantea seedlings was different under the different temperatures. The net photosynthetic rate, stomatal conductance and transpiration rate reached the maximum, and the intercellular CO2 concentration was the smallest at 17.5 ℃, but on the contrary at 7.5 ℃. 3) The biomass of the new root was the highest at 17.5 ℃ (P＜0.05), which was significantly higher than the other temperatures. While, the new root biomass was very small at 7.5 ℃, only accounted for about 1/5 of biomass at 17.5 ℃. The new root length, surface area and volume were relatively large at 17.5 and 22.5 ℃ compared with the other temperatures. The new root specific length was larger at 7.5 and 27.5 ℃ than at 12.5, 17.5 and 22.5 ℃, and the difference between the three temperatures was not significant. The above results show that the growth, development and photosynthesis of C. gigantea are different under the different temperatures, and the relative suitable growth temperature is 17.5 ℃, while the relative high temperature and relative low temperature are not conducive to its photosynthesis and the growth of new rooting. Fatty acid-binding proteins belong to the intracellular lipid binding protein superfamily. All members of the FABPs family have the most basic functions to manage free fatty acid absorption and intracellular transport. In order to explore the regulation mechanism of the FABPs main family genes on the lipid deposition and metabolism in Bamei pigs, in this study, DNA pooling was constructed with Bamei pigs as test objects, and the single nucleotide polymorphisms (SNPs) of FABP1 , FABP2 , FABP3 and FABP4 genes in Bamei pigs were screened by segmented amplification and direct sequencing, and the bioinformatics analysis was carried out. The result showed that 15 SNPs were detected in the FABPs main family genes, in which there were three samesense and two missense mutation (C2 033A-Exon2-FABP1 , G3 751A-Exon3-FABP1 ). Bioinformatics analysis showed that the secondary structure of mRNA and free energy change before and after nucleotide mutation led to the change of its structural stability; there were differences in the estimation of allele frequency, mRNA secondary structure prediction, and protein secondary and tertiary structure prediction before and after the mutation. The above results indicate that the FABPs main family genes have high mutagenicity, which provides a molecular basis for the genetic effect study of intramuscular fat content in Bamei pigs. In order to explore a green feed additive to reduce the abuse of antibiotics in livestock and poultry farming, grape seed proanthocyanidin extract (GSPE) was selected to study its effects on animal immune protection, growth development and meat quality. In this study, by fermentation bed and cage-free net rearing mode 360 30-day-old broilers were randomized into four groups, with three replicates including 30 broilers each．Broilers in the control group were fed with basal diet, while broilers in the treatment groups were provided with the basal diet supplemented with 100, 200 and 400 mg/kg GSPE, respectively. The experimental period was both 40 d. The results showed as follows: 1) Compared with the control, supplementation with 400 mg/kg GSPE significantly increased the broiler ratio of duodenum villus length/crypt depth (P＜0.05), and also induced an increase of goblet cell mucoprotein amount to a certain extent (P＞0.05). The supplementation with 100 and 200 mg/kg GSPE promoted the development of broiler intestine without remarkable difference (P＞0.05). 2) GSPE improved the slaughter performance of broilers, and the supplementation with 400 mg/kg GSPE possessed the best effect, which significantly increased the percentage of breast muscle than that of the control group (P＜0.05). 3) Total serum cholesterol reduced significantly in the treatment when supplemented with 400 mg/kg GSPE (P＜0.05) in comparison of the control group. Meanwhile, the supplementation with 100 and 200 mg/kg GSPE decreased triglycerides and low density lipoprotein cholesterol at different levels (P＞0.05), but increased the high density lipoprotein cholesterol (P＞0.05). 4) The shear force of broiler breast muscle and crude fat of leg muscle were significantly decreased when compared with the control group (P＜0.05). Moreover, 200 mg/kg GSPE also largely increased the crude protein of breast muscle (P＜0.05). Each experimental group slightly decreased the drip loss rate of muscle (P＞0.05). In addition, GSPE did not show any benefit on pH, incarnadine, moisture or collagen content (P＞0.05). In conclusion, as a natural plant dietary substance, GSPE could promote the development of broiler intestinal mucosa and improve the slaughter performance, regulate lipid metabolism, and improve meat quality, particularly with 400 mg/kg GSPE, which provides a new insight into practical application. In order to realize the rapid and nondestructive recognition of slight bruises of apples, a hyperspectral imaging technique (400-1 000 nm) was used. Hyperspectral images of sound and different damage time of Fuji apples were collected, and the average spectral reflectance and entropy were extracted from the region of interest (ROI) of the image. All the samples were divided into training set and test set (2∶1). The characteristic wave- bands extracted based on the spectral average reflectance and entropy using RELIEF algorithm were 17, 30, 35, 51, 61, 66, 94 and 120, respectively. Then, based on full wavebands and characteristic wavebands, an extreme learning machine (ELM) model was built, as comparison with support vector machine (SVM) and K-mean algorithm. The results showed that the recognition accuracy of ELM model for the test set based on the full wave- bands was 94.44%, and the accuracy of the Re-ELM model based on the characteristic wavebands was 96.67%, and the accuracy of the Re-SVM and Re-K mean models for the characteristic wavebands were 92.22% and 91.67%, respectively, which demonstrated that the Re-ELM was a more effective method for the bruise apple classification. Subsequently, an apple damage detection algorithm based on the characteristic wavebands and image processing was proposed, which performed an independent component algorithm (ICA) transformation of the characteristic wavebands, and selected the third component image of the ICA transformation, and used adaptive threshold segmentation to obtain the bruise area on apples. The final detection accuracy of apple damage detection algorithm based on the image processing technology was over 94%, which indicates that the algorithm is efficient for identifying slight bruises of apples.